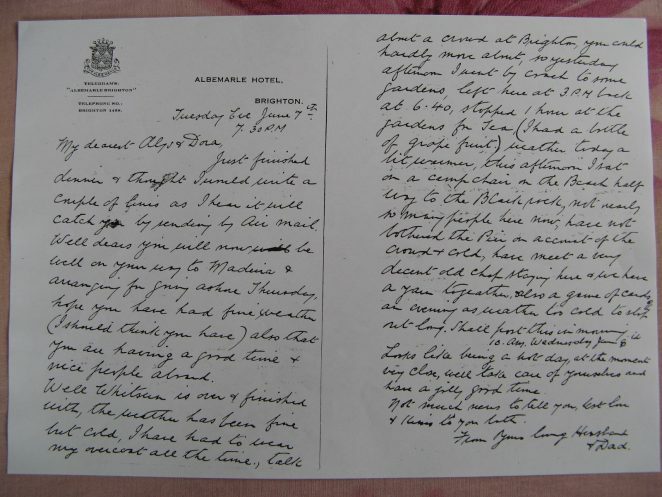 This letter was sent by my grandfather Captain Sydney Ardley Garnham while staying in Brighton to his wife and daughter who were obviously having a trip to Maderia. Sadly the year is missing from the letter but it would have been pre 1933 as that was when he retired. Has anyone any idea where the Albemarle Hotel was? The Albemarle Hotel was at 7 Marine Parade.